Directions: Turn right at post office, go through stop sign, next building on right. Please attend and show your support for this very important initiative by our county officials. Your input would be greatly appreciated. This item is not on the Suwannee BOCC agenda yet. However, we have reason to believe it will be discussed and probably voted on. 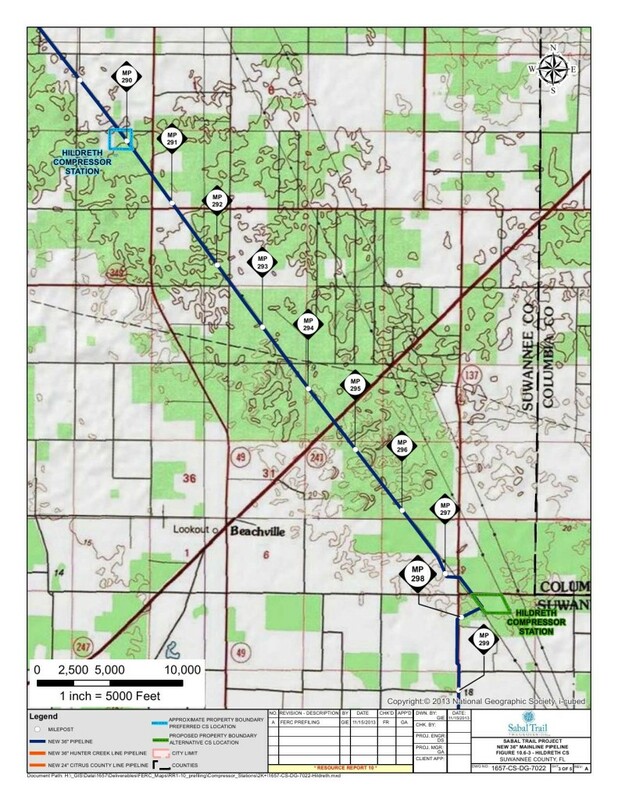 This is huge, because Suwannee County is the one county targetted by every route ever proposed by Sabal Trail. Suwannee County Commissioner Richard Gamble testified at the hearing in Jasper that it cost Suwannee County “Between 1.4 and 1.5 million” dollars to fix sinkholes at the Klausner sawmill site. WWALS member Tom Edwards testified that he owns 900 acres or more where the pipeline would emerge from under the Suwannee River into Suwannee County, and that he informed Sabal Trail of additional sinkholes, springs, and gopher tortoises on his land and that they did nothing. and Dana Stevens, through whose property the pipeline would run, including through the resting place of the ashes of his wife’s grandmother. and Debra Johnson, who is also keeping us informed on Suwannee Alliance for Sustainable Growth on facebook. All these people have already helped oppose the Sabal Trail fracked methane invasion from Houston, Texas. You can help, too, by attending the Tuesday evening meeting, or calling or writing the Suwannee County Commissioners. This entry was posted in Pipeline, River and tagged Board of Commissioners, BOCC, calf, compressor, conservation, cow, Dana Stevens, David Shields, Debra Johnson, Donna Ellison, Hildreth, Lori McCraney, north Florida, pipeline, Richard Gamble, river, Sabal Trail Transmission, sinkhole, south Georgia, Spectra Energy, Suwannee County, Suwannee River, watershed, Wayne Ellison, WWALS, WWALS Watershed Coalition on November 13, 2015 by jsq.